Whether you’re mixing sound in a studio or live environment, the use of headphones is important at times. Headphones enable the desired selection of individual channels while mixing; helping to ‘zone’ in on a precise instruments and thus improving that channels sound. By using your soundboards solo or PFL button, one can choose any channel(s) wanted to be heard. You can also hear the stereo sounds closer while using headphones. If you are looking for a stage monitor headphone system check out the In Ear Monitor article. Noise canceling headphones are preferred compared to regular headphones. This is because, when listening to a specific signal, the bleeding of other sounds is distracting and will change the perception of the sound. Ear-bud style earphones are not recommended for audio mixing, because of their inability to produce all the range of frequencies. Also, ear-bud style headphones can be a pain to get in and out of the ears. Having full style head-phones is the only way to go. Headphones, regardless of the isolating power, should never be warn when mixing a whole set of instruments for long periods of time. This is because while someone is mixing sound for a church will, as much as possible; want to hear exactly what is coming through the mains and what everyone else is hearing. Headphones are great for EQ-ing channels prior to the worship service, because the sound technician can dial in and hear specific sounds. If there is an issue with a particular instrument on stage or anything else that may arise; headphones are great for checking the status of signals and help to understand any problems that may arise. It is best to only use headphones when needed while mixing live sound applications. Having a good, solid set of headphones to go along with a mixing board, in your church’s worship center, is a good resource to the techs. Isolating headphones are recommended in all applications. 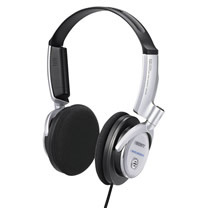 However, to get professional noise canceling headphones will work its way up to $250-$500. These headphones can be very expensive but are defiantly worth the cost. The use of headphones for church audio is a really handy tool for sharpening the over all sound of a mix. It isn’t a good idea, however, to be dependant on headphones all the time. This will slow the progression of learning how to hear sounds and to get the ‘ear’ for mixing. Try to only use headphones only when needed and only during microphone tests and sound checks.